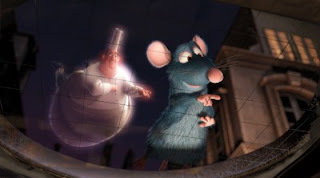 Ratatouille (2007) – Ever since Spirited Away, an animated film hasn’t surprised me for the best. This is not only a great animation, but a great movie as well. Remy is a little rat with a natural talent for cooking. Something unexpected happens and he sees himself in Paris: now the impossible dream of becoming a chef in an important parisian restaurant might become true. The plot may sound bizarre, but that’s cinema fantasy and in animation everything is possible these days. And besides, the story makes you think. Is it better to stay on the safe side, to accept what everyone else says you should be, even if that means to choose a mediocre way of life or to break the boundaries and follow your deepest dream? Brilliantly directed and with one of the most (if not the most) unforgettable scene of the current film year. After nearly 10 months, finally a movie overcomes Sofia Coppola’s Marie Antoinette on the top of my 2007’s fav list. A movie which lead character is a rat. Who would say so? Watch some scenes and comments on them here. Tropa de Elite (2007) – When it comes to art (and cinema seen as an art form here), artists should talk about what they understand, about their own surroundings, their own reality. The mirror, which is the film camera, should reflect the social and cultural reality of their home country. Of course, art goes beyond that, but i suppose it’s really hard to make a mistake by choosing this path. Take german cinema, for example. How they’re obsessed about their own political history in so many aspects, and how this theme resulted in so many great contemporary films. Sophie Scholl, GoodBye Lenin!, Nowhere in Africa, The Downfall and The Lives of Others, just to mention some of them. Based on this thought, i’d say the best brazilian films ever made were those which the filmmakers focused on what is the most controversial aspects of my country. Central Station had an universal appeal, but it used misery in its cruel form as a background. I suppose many of you have seen City of God by this time, so i’m gonna drop any further discussions on it. Some has said Elite Squad is the new City of God. 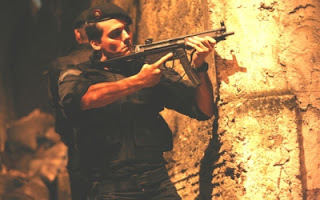 But if Fernando Meirelles came back to the past in order to explain why Rio de Janeiro is facing a civil war these days, this new film uses today’s civil war as a background of endless violance, through the eyes of a working cop. Once again, there’s no easy answers. Is this ever going to have any answers at all? >Great comments about Elite Squad, it make sense. Italy cinema, who I always in love, reflects many of thouse political thoughts either. But I think that is art, the seven art!Art is very abstract.Michael Moore had me when he made "Tiros em Columbine". In the middle of the film, he changed everything because of yours resourch for that work. >I loved Ratatouille. It is my favorite animated film of all time.Regarding Sicko, it's not surprising American's have the highest health care costs in the world. When I went to the dentist, I had to make a *separate* appointment for a "consultation" so he could see my broken tooth before he actually fixed it two days later. >Romeika, adoro "Ratatouille". O melhor filme de 2007, até agora.E concordo com o que você disse sobre "Tropa de Elite". O cinema tem mesmo que refletir a sociedade de onde ele vem, ou, pelo menos, nos ajudar a compreendê-la. E, "Tropa de Elite" faz isso muito bem, pois é um filme atualíssimo ao momento vivido por nós, brasileiros. Só não acho que o filme supera "Cidade de Deus".Adorei seu texto sobre "Sicko". Acho que, tirando a manipulação excessiva feita pelo Michael Moore (que sabe muito bem o poder que uma imagem possui), sua intenção é boa e eu também apóio as idéias dele. >I love Ratatouille and my kids loved it too, it is so cute!I have to see "Tropa de Elite" must be amazing!Great post, like allways! >ratatouille is the funniest animated film i've ever watched and in my opinion, over the hedge didnt even come close=p haha!anyhow yr prev post was gorgeous!! looking at the orange, yellow and red palette. it made me wished that i wasn't frm the tropics. haha!anyhow thanks for d comment! haha! glad u love the post on portugal and YAY!! i spotted the quote!! haha!love. >Sicko really opened up my eyes it was such an amazing documentary I didn't know things were so bad in the statesI cried when they had that mother who brought her daughter to the hospital and they told her that they wouldn't treat her and that she had to bring her somewhere else and her daughter died…soo sad.love ratatouille, such a great story! >omgosh!! I know, how good is Ratatouille. And Remy's such a cute little rat!! And I love food…mmm…. >and oh! re: congratulations on being accepted into masters in cognitive semiotics!! That's wonderful!! ^^ LOL -> but yes, don't procrastinate like me. >Cotton Candy: Thanks!=) And "Ratatouille" is such a delightful film. 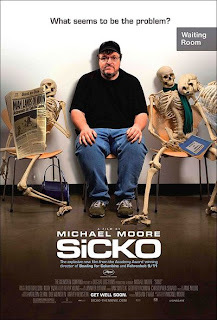 >I'm taking a class called Documentary Cultures this year and we're studying the techniques and examining the whole ethics/objectivy question, including within Michael Moore's work so I'm interested to see Sicko.And I want to see Ratatouille just for pure entertainment! >if you like spirited away, check out miyazaki hayao's other works!! he's such a genius. i loved spirited away too. and also totoro, and howl's moving castle. >Hi Gilda, thanks for the visit and thanks a lot for the movie tips. "Totoro" opened here this year, but unfortunately i couldn't go. And all dvds are subtitled in danish and other scandinavian languages:-S When i'm off to Brazil sometime, i'll look for his other films, he's indeed a creative genious.